Update your look whenever you want with the versatile Swarovski Remix Collection, by combining different strands using their invisible magnetic closures. 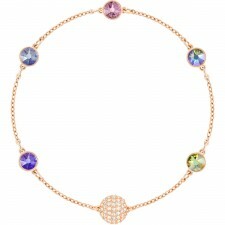 This vibrant rose gold-plated strand features green and blue crystal embellishments for a style inspired by a summer garden. 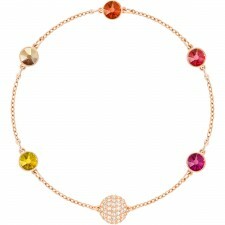 Wear alone as a bracelet, or put together other strands for a one-of-a-kind choker, necklace, or double-wrap bracelet. Ideal for gift giving.